In my post about the upcoming Finnish production of A Little Night Music, I mentioned it's my second-most anticipated musical production of autumn 2015. Now we come to number one. 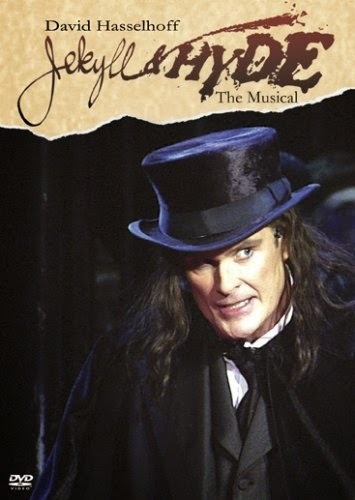 I call Jekyll & Hyde my favourite musical. It however cannot be compared to my other favourite musical Les Misérables. I like Les Mis until proven otherwise. A production of Les Mis has to screw up the casting or the direction quite aggressively to prevent me from enjoying it. The story and the music are always brilliant. Strong portrayals of Jean Valjean and Javert are a must for me, but apart from weak leads, hardly anything can stop me from having a good time. 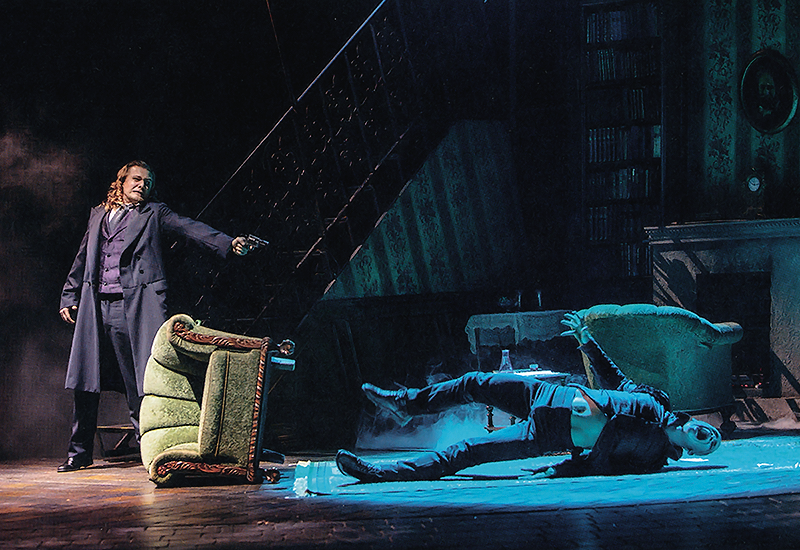 When it comes to Jekyll & Hyde, my default setting is not liking it. A production of Jekyll & Hyde has to shine especially bright in its casting, its direction, and/or its visuals to make me really enjoy it. The source material is painfully uneven. The script has its exciting parts, right next to an endless list of plotholes. It also exists in many different variations, some better, some worse. Even the music is hit-and-miss. All in all, only Turun kaupunginteatteri's production has ever made this show truely enjoyable for me. And how! With misery and violence. Just the way I like it. 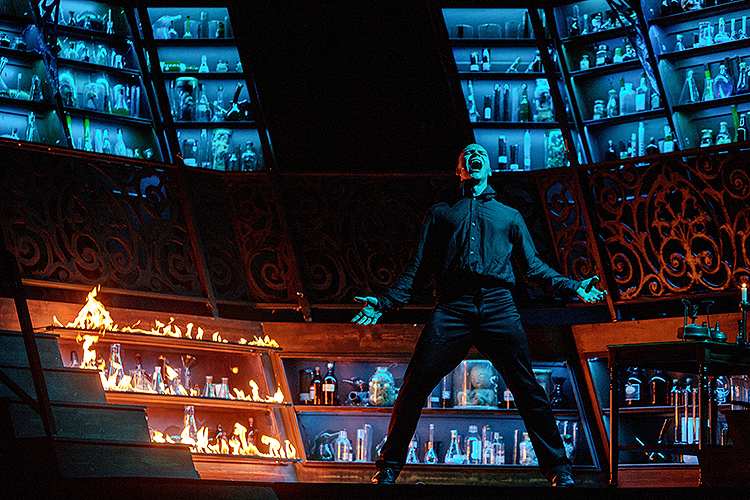 As I've mentioned before, Turun kaupunginteatteri's Jekyll & Hyde featured the most gorgeous sets, lights and costumes I've ever seen in any musical. Every major character was played by an actor I like. The music sounded grand and beautiful. And how about the special effects, smoke and blood and explosions! The production also featured a script I liked. Frank Wildhorn's musicals are known for their endlessly revised scripts. No two productions of any of his shows are the same. For Jekyll & Hyde, it seems Wildhorn's written twice the amount of songs needed. The overflow has resulted in a dozen different versions of the musical. To my knowledge, the script edition used in Turun kaupunginteatteri's production was brand new, revised by the production's creative team. It featured lines I haven't heard in any other productions and gave certain characters (especially Utterson) more focus. I loved every single change they made. Tampering with Les Mis like that would be disastrous. But when the source material is as confused as Jekyll & Hyde's, little revising can do wonders. After the original Finnish Jekyll & Hyde ceased to be, I watched a whole lot of videos from foreign productions. I liked one because it had a favourite actor as the lead, aaand... that's it. Some were okay. But had I first encountered any other production than Turun kaupunginteatteri's, I don't think I would've given the show a second chance. International productions of Jekyll & Hyde have a history of horrible directional choices, ugly visuals and misguided efforts at stunt casting. I also dislike many productions for featuring a particularily weak version of the always changing script. it had to be like this? All that said, maybe you can understand why thinking about Jyväskylän kaupunginteatteri's upcoming production of Jekyll & Hyde makes me worried. The musical will premiere in September. The cast (Joni Leponiemi and Henri Halkola alternating in the titular roles, Maria Lund and the lovely Saara Jokiaho as the ladies), based on the little I know of them, seems good. Set design by Marjatta Kuivasto, who designed the Finnish production of Tanz der Vampire, is especially exciting. I know nothing of the director Anssi Valtonen, so I shall remain positive. But Kari Arffman's new translation? I'm sure the lyrics can be translated more cleverly than they were the last time – but since, when it comes to this show, they can be lyrics to any of the approximately two hundred songs written for different versions... Which ones are we going to get? A new translation also means losing the the lines I so enjoyed unique to the first Finnish translation (by director Tuomas Parkkinen, Jussi Vahvaselkä and Kristina Vahvaselkä). Oh no! I wanted to hear that dialogue again! No matter what the new translation will bring to the table, there are many lines I'm going to miss from the first one. It's weird. I'll be buying a ticket to a show I know well, yet I won't really know what is going to happen onstage. Will everything be on fire again? Some fans of Jekyll & Hyde would surely disagree with my thoughts about the ultimate script. Turun kaupunginteatteri's take touched me the most, yet someone else might think it left out the best songs. But maybe this time. In Jyväskylä, will we hear a Finnish rendition of The Girls of the Night? Or His Work and Nothing More? Maybe The World Has Gone Insane, even? Who knows. I'm eager to find out. Let's hope that, no matter which script they'll use, the new Finnish production will be the ultimate Jekyll & Hyde for at least someone. Jyväskylä Jekyll logo borrowed from the theatre's Instagram account. Turku Jekyll photos by Robert Seger. 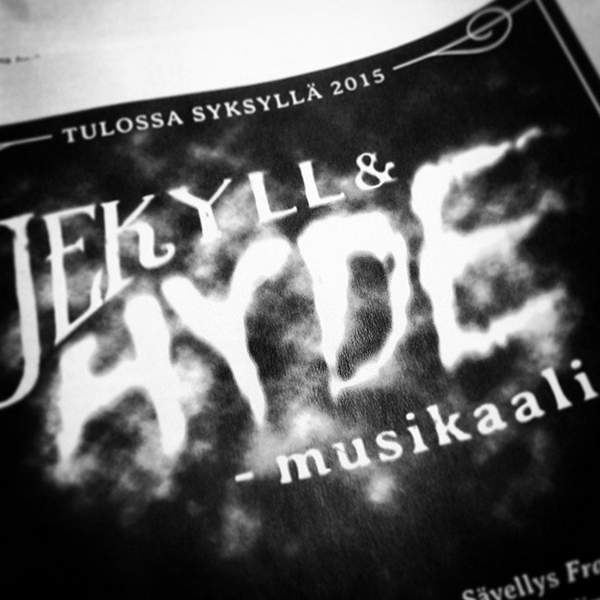 More on Jekyll & Hyde: my review of Turun kaupunginteatteri's production, why Jekyll & Hyde is important to me.